DesignWood colorant is pressure-impregnated into wood with proven soluble copper preservative solutions, Preserve CA or Preserve ACQ, to provide lasting color with long-term protection against fungal decay and termite attack. 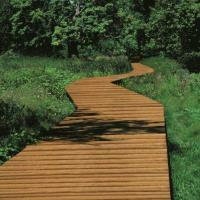 The DesignWood colorant is pressure impregnated with the preservatives, giving color and protection in one step. 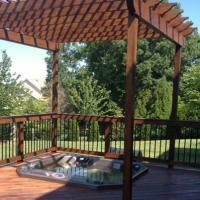 Eliminating the need for initial staining, you save time and money. 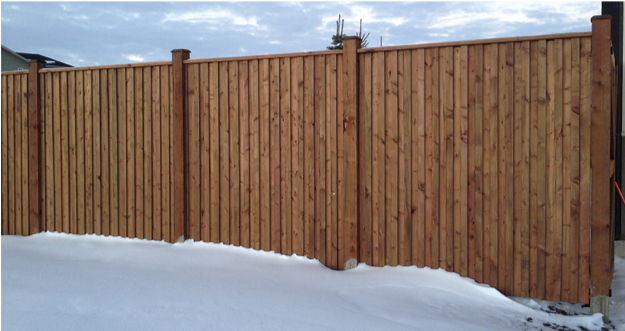 DesignWood is ideal for decks, docks, bridges, pole-type buildings, structural-framing lumber, fence posts, and landscaping. * DesignWood colorant used with Preserve ACQ and Preserve CA treated wood is covered by a Lifetime Limited Warranty against damage from fungal decay or termite attack when installed in accordance with applicable building code applications. See Preserve ACQ and Preserve CA Lifetime Limited Warranty for terms and conditions. DesignWood Colorant can be added to our wood preservatives Preserve ACQ or Preserve CA, which are NAHB Home Innovation Research Labs Green Certified Products for Resource Efficiency. DesignWood products are eligible to contribute points toward building certification under the National Green Building Standard™ (NGBS). Preserve®ACQ®treatedwood meets the stringent industry standards of the American Wood Protection Association (AWPA), the leading authority on wood preservation science. The International Code Council’s committees recognize AWPA Standards directly in the model building codes (IBC and IRC) for residential and commercial applications. 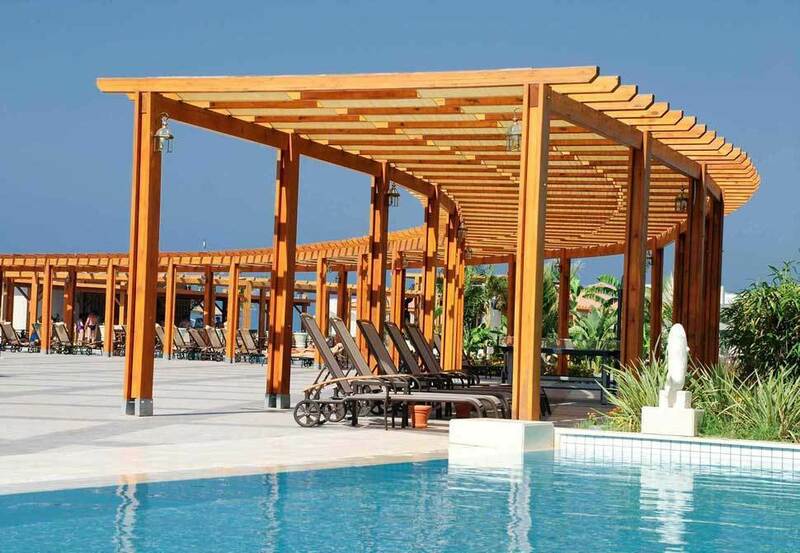 Preserve® ACQ® improves the durability of exterior wood for sustainable building; is field-tested and proven-to-last. Wood treated with the DesignWood Colorant and Preserve wood preservatives is not suitable for direct contact with uncoated steel or aluminum building products. Freshly treated boards should be installed tightly together as they will shrink slightly in width and length as they dry out. Kiln Dried After Treatment (KDAT) boards should be properly spaced to allow water to pass between boards. Pre-drill holes at the ends of boards to help prevent splitting. Use screws to improve holding performance. Install fasteners flush to the wood surface. Do not overdrive fasteners. Place the best-looking side of a deck board face up. This resource may be helpful if you are building or remodeling, the Prescriptive Residential Deck Construction Guide includes guidance compiled by the American Wood Council (AWC) on provisions of the International Residential Code (IRC) pertaining to single level residential wood deck construction. 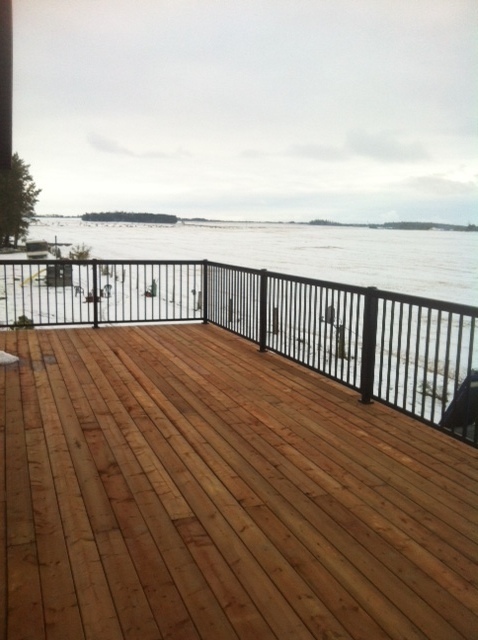 A wooden deck requires regular maintenance just like any other major part of a home. 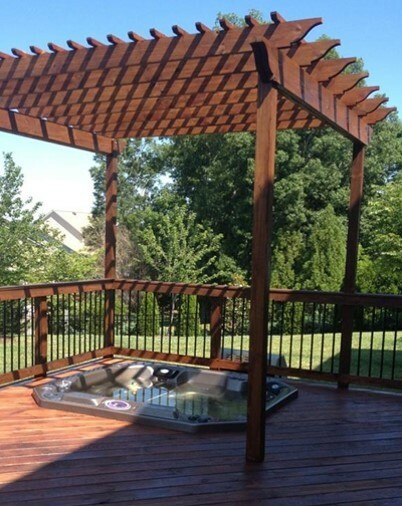 Regular cleaning and application of a high-quality stain with water-repellent and UV protection will help protect your deck from the weather and ultra-violet ray damage caused by the sun, and will extend the usable life of the deck. Cleaners containing Chlorine Bleach are commonly used to clean decks but they are NOT recommended for cleaning Ecolife® treated wood. Excessive use of chlorine bleach containing cleaners (sodium hypochlorite or calcium hypochlorite) can damage treated wood leaving it with an unnatural whitewashed appearance. Chlorine bleach also can raise the wood fibers and cause a fuzzy-looking surface. Cleaners that contain Oxalic Acid are a better choice for Ecolife treated wood. There are a number of commercial products in the marketplace that are recommended for the cleaning of preservative treated wood decks. For best results always follow the manufacturer’s instructions. The following suggestions are provided as supplementary guidance. Clear the deck of all furniture, grills, etc., and the surrounding area of all debris and obstacles to create a safe work zone. Remove all debris trapped between deck boards and the edge of house and sweep or blow the deck to remove all debris. Prepare the surrounding area and protect your shrubs and plants with a plastic drop cloth. Spray water on plants in the surrounding area to dilute any over-spray of the deck cleaner that lands on desirable plants. For mild stains and dirt use a mild dish detergent diluted in a bucket of water. Mop a small area of the deck surface with the Freshly and then use a stiff bristle brush to work the dirt free from the surface. Rinse the solution with a garden hose and re-clean areas as needed. For more severe stains and dirt use a deck cleaner. Before use carefully mix/stir the product in accordance with the manufacturer's directions. Use eye protection and rubber gloves as directed. Apply the deck cleaner according to manufacturer's instructions. Unless directed otherwise by the manufacturer apply the cleaner only to the amount of deck surface you can work at one time. Work in sections and let the deck cleaner do its work. Many cleaning solutions should not be allowed to dry on the wood so periodic spraying/misting may be required. Let the cleaner set on the deck boards for the time period recommended by the manufacturer. Once the cleaner has worked for the specified time, use a hard-bristled broom with synthetic bristles to scrub the deck clean. Scrub parallel with the wood grain at all times. Rinse well with water and repeat the process on the next section of deck. Once cleaning is completed inspect your work. The surface should be consistently clean and unmarred or damaged. Re-clean any stubborn areas that still look dirty.Many homeowners want use a power washer to clean decks but, without appropriate care, it is easy to ruin the deck surface and cause significant damage to the wood. Be especially careful power washing newer deck surfaces that have not been previously sealed or coated. If you do choose to use a power washer pay careful attention to the manufacturer’s instructions. In addition, these general recommendations obtained from various online sources may be helpful. Use the lowest possible pressure that effectively cleans the surface. Use a fan-tip only, set for an angle of spread between 40 and 60 degrees. Never use a narrow stream or a rotating “tornado” type of tip . Always start by pointing the spray away from people and glass windows and at least 24" away from the wood deck. 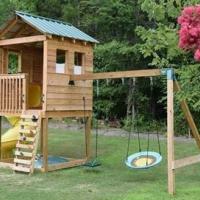 Once the fan spread is properly set, slowly begin feathering the spray approximately 18 inches from the deck. Test your spray in an inconspicuous area and not the primary deck surface. In general, avoid spraying closer than 16-20 inches unless the pressure is very low. As you sweep the sprayer along the deck boards, many people will have a tendency to pivot their arm and that will create inconsistent distance of the tip from the deck surface. Try to maintain a consistent distance from each deck board as you clean. You can do this by walking slowly and holding the sprayer steady at a level distance and angle. 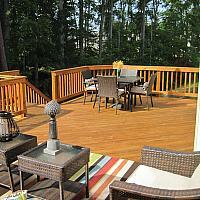 Start cleaning deck boards closest to the house and work from the house outward to the far edge of the deck. 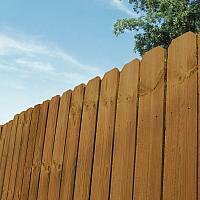 Work with the grain by feathering the spraying lengthwise with the deck boards and overlapping each area slightly. The objective is even cleaning with no visible differences on any board.